In the U.S. state of Nevada, a machine from Herrenknecht has bored a tunnel for the Las Vegas water supply. In the process, new world records were set: the high-tech boring machine (Ø7.2 meter) had to withstand water pressure of 15 bar. The city draws its water from Lake Mead, the largest reservoir in the country. But its water level is dropping, the existing water intakes are at risk. In order to tap the water deep down in the lake in future, for three years the tunnel boring machine bored its way through extremely adverse ground conditions. Every reason to celebrate: on December 10, 2014, with centimeter accuracy the Herrenknecht Multi-mode TBM reached its target at the bottom of Lake Mead. Starting from a 180 meter deep shaft, within three years it has dug a 4.4 kilometer tunnel under the largest reservoir in the U.S.A.
Lake Mead, U.S.A. / Schwanau, Germany, Dezember 19, 2014. Las Vegas, the glittering city of luck with its fascinating fountains, draws 90 percent of its water from Lake Mead. The largest reservoir in the United States is fed by the Colorado River. The areas around Las Vegas, however, are taking more from the lake than flows into it as snow melt and rain water from the Rocky Mountains. During the 14 years of drought, the water level has dropped by 35 meters. The two existing water intakes for the Las Vegas Valley are in danger of running dry, and Intake No.1 could be at risk next year. It is now only 24 feet (7 meter) below the lake level. The construction of a new, deeper water intake commissioned by the Southern Nevada Water Authority (SNWA) is a race against time. But now the crucial section has been mastered: on December 10, after three years of tunnellingthe Herrenknecht tunnel boring machine (TBM) S-502 (Ø7.2 meter) reached its target on the lake bed. Starting from a 180 meter deep shaft it has dug a 4.4 kilometer tunnel under the lake. During this time the machine was subject to water pressure of up to15 bar – a new world record. The previous record of 11 bar had been held by a Herrenknecht Multi-mode TBM for the Swedish tunnel project Hallandsås, completed in 2013. Herrenknecht developed and built the Las Vegas machine in close cooperation with the customer, Vegas Tunnel Constructors. The joint venture of Salini Impregilo (Milan, Italy) and S.A. Healy Co. (Chicago, Illinois, USA) is constructing the intake tunnel for the SNWA. 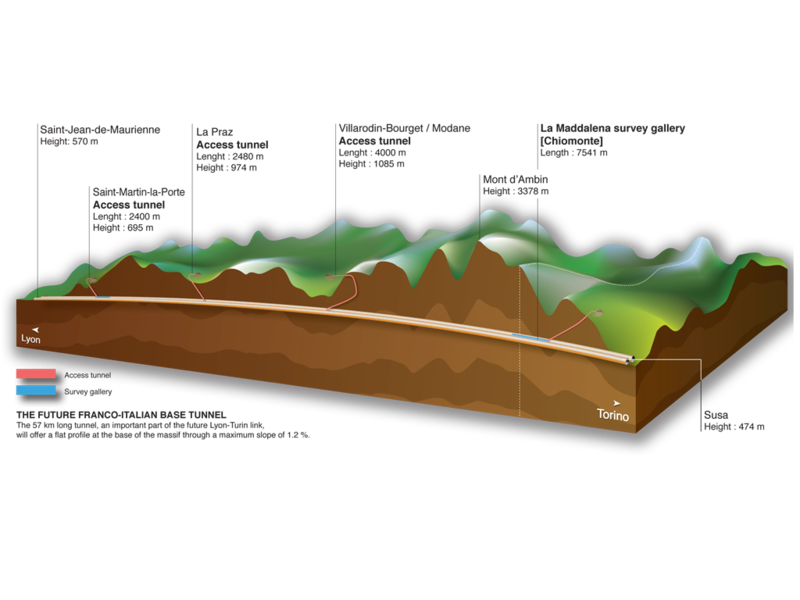 The tunnel passes through the so-called Muddy Creek Formation, with alternating layers of hard rock and conglomerates as well as fault zones. The fault zones full of secondary minerals are partly filled with water from Lake Mead. The designed machine is a Multi-mode TBM, which can be operated in open or closed mode according to the geological conditions and has considerable additional equipment. Thus the 7.2 meter diameter TBM is ideally designed for the extreme conditions of the project. The Las Vegas machine launched in late 2011 from a 180 meter deep shaft at the lakeside. For months it struggled through shattered rock and clay with full hydrostatic pressure caused by water from the lake. In doing so it had to withstand pressures of up to 15 bar, an absolute novelty in mechanized tunnelling. As a comparison: 15 bar is like diving at 150 meters or at a pressure of 15 kg per cm². With a diameter of over 7 meters and a length of 190 meters, immense forces were applied on the machine. The Herrenknecht TBM cutter head with the last of the intake front showing the disc cutter marks and kerf spacing. The TBM slaved away through abrasive geological formations, resulting in repeated downtimes to replace wear parts. Disks, parts of the cutting wheel and the entire bearing seal were replaced. As soon as the machine reached good, stable conditions the site crew changed from closed slurry-supported mode to open hard rock mode. In this the multi-mode machine quickly ate its way through the rock at speeds of four or five centimeters per minute and up to more than a hundred meters a week. Over the total distance the machine tunnelled about 40 percent in open hard rock mode and about 60 percent in closed slurry-supported mode. Tunnelling was interrupted at regular intervals for maintenance and repairs. The work was carried out proactively by Vegas Tunnel Constructors in close collaboration with Herrenknecht. Adapting to the geological conditions, the Herrenknecht TBM can operate in open and closed mode. In open mode the excavated material is fed to the cutterhead center, where the central screw conveyor removes it onto belt conveyors. In the event of water inrush, the main chamber is sealed by closing the rear discharge gate. In this way the change from open to closed mode can be done in just 120 seconds. In the latter the Multi-mode TBM is driven completely in the slurry-supported mode with a cushion of air to control the support pressure. Three drills installed in the shield area offer comprehensive advance drilling possibilities for probing and grouting. If required, a fourth drill can be installed on the erector. They allow stabilization of the tunnel face both for the drive as well as for inspections and maintenance. This increases the possibility of working under atmospheric conditions in the excavation chamber or even at the tunnel face. If the water pressure is too great, work needs to be carried out in a compressed-air atmosphere. For this case, the TBM is equipped with a special, newly developed lock system that allows normal compressed air entries to about 4.5 bar. For use at even higher pressures or for longer work intervals, saturation divers can get to the machine and back again by transfer shuttle under constant pressure. Work on Intake No.3 is due for completion in the summer of 2015. The new extraction tunnel will then take the lake water via Intake No.2 to a drinking water treatment plant, from where it will be supplied to households and businesses.